One idiot, a compound idiot with imbecilic mind and moronic taste in English grammar decided to abuse me. And he is a police officer. My crime? I sent him a private message to stop adding me to Facebook Groups. He added me to 5 Groups within 24hrs. I checked out these groups. They communicate in Hausa language. I don’t speak Hausa. And I asked him to stop adding me to Groups. Instead of doing so, he resulted to abuse. This character is unfit to be a police office if he can’t understand basic principles of privacy and consent and converse in simple English. How did he graduate from the Police College? This, and others like him, are the people making the Nigeria Police to be irredeemably lost in the quagmire of infamy. Of course, I obliged him and blocked him ASAP. I’ve no patience for unwarranted insolence. Real quick, poke your head outside and yell to your neighbour “how did Christmas start?” You don’t have to stay to listen to the full lecture about religious imperialism or whatever; you can duck out as soon as he mentions how it was stolen from a Pagan holiday. The centerpiece of this argument is the fact that Christmas is celebrated on December 25th — once observed as the winter solstice — and that there was also a major pagan holiday celebrated around the winter solstice (Saturnalia). But Saturnalia wasn’t on December 25th (it ran from December 17-23), and it’s unlikely that there would have been much celebrating happening on the 25th, since everyone was still hungover from Saturnalia, and trying to build a foundation for the New Year’s festival drunk, which (starting all the way back in 153 B.C.) began on January 1st. The unfortunate one-gift-counts-for-both birthday of December 25th started with the A.D. 204 writings of Hippolytus of Rome. He figured it by starting with March 25th, the accepted date of Jesus’s death since at least A.D. 200. Add in the fact that, according to Jewish Talmudic tradition, all righteous men died on the same day they were conceived, and Jesus’ conception must have also taken place on March 25th. Then basic biology tells us that nine months after conception comes the birth: December 25th. There was a smaller pagan festival called Sol Invictus (Unconquered Sun), which did celebrate the winter solstice on the 25th. However, Sol Invictus wasn’t created until A.D. 274 (well after Hippolytus did his hump-math) by the Roman Emperor Aurelian. In fact, there’s even a good possibility that Sol Invictus was created to provide a pagan alternative to the Christian celebration, rather than the other way around. That is the Christmas gift to you this season. NOTE: Culled from a website. It was equally edited. 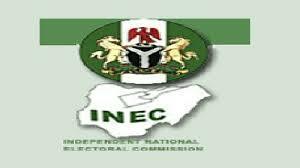 If everybody voted, and if “OUR SON SYNDROME” synonymous with Nigeria comes to play, then 2015 may see to the emergence of Gen. Muhammadu Buhari (rtd) and Prof. Yemi Osinbajo as the next President and Vice-President, respectively. Former Minister of State for Defence, Senator Musiliu Obanikoro, is crying foul that PDP chieftain, Chief Olabode George and the winner of the party’s governorship primary in Lagos, Jimi Agbaje, used thugs and state security officers to manipulate the election in favour of Agbaje. Methinks we should remind Obanikoro how he, along with his PDP accomplices, used same security officers to arrest, intimidate and harass opposition members during Governorship Elections in Ekiti and Osun states. What goes around, they say, comes around. 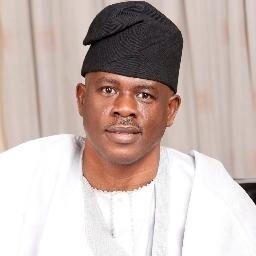 That’s your comeuppance, dear Obanikoro; divine retribution for your atrocities in Ekiti and Osun states. Please cry no more, Obanikoro.